The final wish of my grandparents to have power over their own deaths and dying is finally within sight. 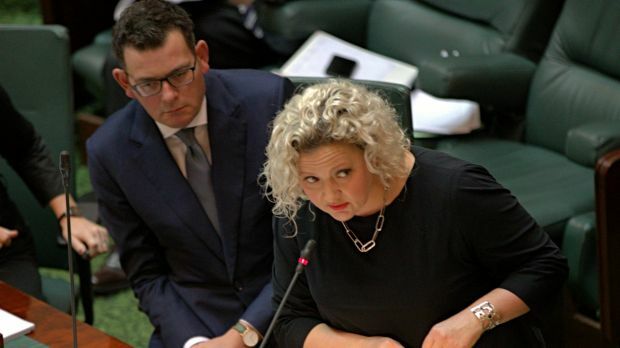 This week, Victorian MPs will consider legislation that will accord a small number of people the choice to limit intolerable and untreatable suffering in the final weeks or months of their life. And this is key: the only people who would be able to access this choice are those for whom death is an immediate and inevitable reality. This is not about life and death, but simply a choice between two ways of dying. The Voluntary Assisted Dying Bill 2017 is in fact incredibly restrictive – the most conservative in the world – and aims to strike a balance between upholding the wishes of the individual, and ensuring their decisions are voluntary and informed. The safeguards then are not there to restrict autonomy over one's own life, but to ensure it. It is a point that has been forgotten by many in this debate. The same family company has been making Wizz Fizz sherbet powder for the past 70 years. At this, the eleventh hour, I would like to get back to what this legislation is really about. Autonomy is a value that runs deep in my family. In 1939 my grandparents – Emil and Hannah – fled the Nazi regime in Europe and arrived on the shores of Australia as Jewish refugees, as young parents who had lost everything. Prior to arriving, my grandmother's only knowledge of Australia was that one could wear nothing but pure silk, and all the rivers dried up in the summertime. Having escaped, they were safe in a land that they believed to be just, one that would allow them to lead the lives they wanted. They worked hard – really hard. Emil served in the Australian army as a refugee alien, assisting in the fight against those who had stripped so many of their lives, their autonomy, their futures. 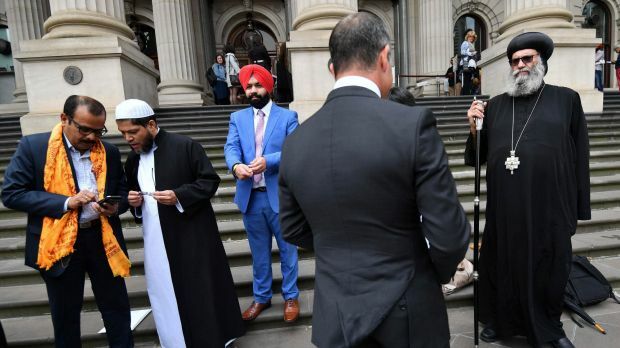 It wasn't long until they realised the freedoms Australia accorded them as refugees – to govern one's own body, one's own life, one's own aspirations – was not accorded all Australians. They became heavily involved in the civil rights movement fighting for the self-determination and empowerment of Indigenous Australians. My grandfather told me he found it traumatising to see what had happened to him happen to other humans. Especially here in the land that gave his family such freedom to choose how to live their lives. Both have now died, and neither in the manner that they would have liked. It is not lost on me that Emil and Hannah – refugees, activists, allies, Australians – were people of the deepest kind of integrity, based on the belief that we are equal in our freedom to determine what we want our life to be. They were no strangers to threats to that freedom, but for them the final threat came with the prospect of a suffering death, forced on them by law. They were "life members" of what is now Dying With Dignity, the irony of which was not lost on them. For them, to die in a way that would allow them to avoid unnecessary suffering, and to save their loved ones from having to witness that suffering, was completely in line with their fight for autonomy throughout their lives. For themselves and for others. They, of course, were not granted that last wish. Like so many other Australians, the state took from them what was central to their identity in their final days. Like Premier Daniel Andrews' father. And like Jill Hennessy's mother. And perhaps, one day, like me. How can we really know an individual is choosing this free from undue influence? Coercion is a question opponents like to raise. But managing the line between autonomy and coercion is already a strong part of medical practice in Victoria. Consider the power an individual has to refuse life-saving medical treatment – a power that has been in law in Victoria since 1988. In nearly 30 years, there have been no prosecutions for undue influence under this law. Safeguards – including that the person be of sound mind, and the decision be voluntary "without inducement or compulsion" – are more lenient than those set to be before Parliament this week. What is more, the assisted dying bill concerns only those Victorians whose death is imminent and unavoidable, unlike the law concerning refusing treatment. We are now facing a historic moment in Australian history, where that final wish of my grandparents to have power over their own deaths and dying is finally within sight. But we must hold our MPs accountable for ensuring this legislation does what it says it will do. I certainly will. Tosca Lloyd is executive officer of the Rationalist Society of Australia.